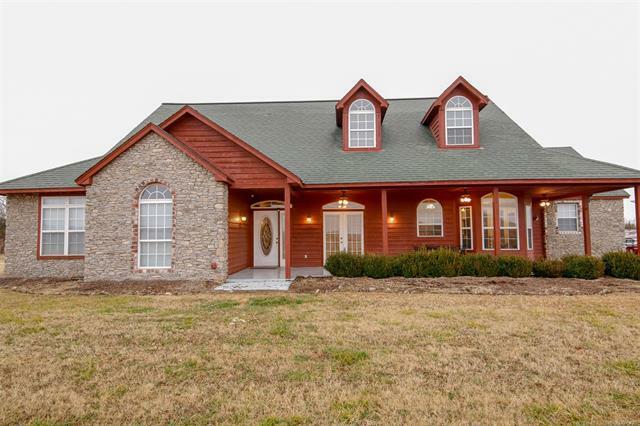 Horses Welcome1 10 acres and large pond, 15 minutes from Tulsa Hills! 5 bedrooms+ Game room. Master & two beds downstairs. Wood floors, lots of windows for gorgeous natural lighting, beautiful wrap around porch. RV Hookup, Formal dining + Kitchen Has Breakfast Nook. Chicken Coop can stay & RV Negotiable.